You are here: Home > > > Mike's Blog > > > Transmission Vegetation Management Cover Up? 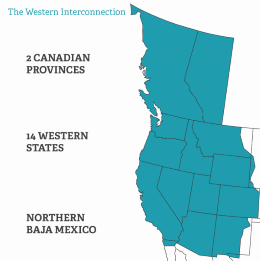 “Transmission Vegetation Management” may seem to be a mundane topic, but there has been some extraordinary recent news in the region that comprises the Western Interconnection of the electric grid. 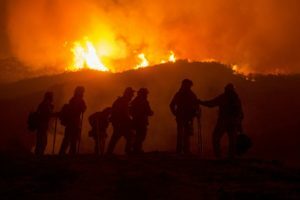 For one, Pacific Gas and Electric (PG&E) has been under investigation for its role in the recent California wildfires. California’s attorney general recently said the PG&E could be actually charged for murder or other crimes for its role in the wildfires and, in fact, PG&E has announced that it will likely seek bankruptcy protection due to its liability in the wildfires. So, yes: the transmission vegetation management standard is important. “Transmission Vegetation Management” is a NERC reliability standard presently designated FAC-003-4. (It has gone through several revisions: FAC-003-1 through FAC-003-4.) The standard came into being as a result of the Great Northeast Blackout of 2003 which was caused by – you guessed it – untrimmed foliage. Basically, a tree branch in Ohio caused a cascading outage that affected 55 million people in the northeastern U.S. and Canada. 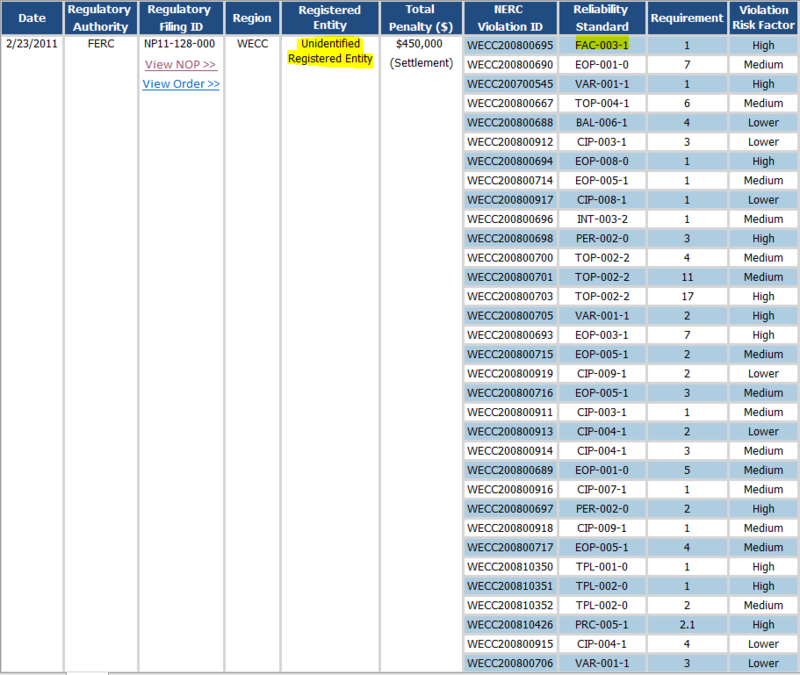 Is there a NERC “Transmission Vegetation Management” Cover Up? If you have been following this blog, you know that we exposed PG&E as being being the violator at the center of a massive industry-wide cyber security cover up. We have now uncovered evidence that NERC has used the cyber cover up to sweep other violations under the rug – including transmission vegetation management violations in the very region where PG&E and the Camp Fire was located! So, as you can see, Pacific Gas and Electric (PG&E) was fined $100,000 on July 31, 2009 for violating the transmission vegetation management standard – then FAC-003-1. But at least, at the time, this information was disclosed to the public. 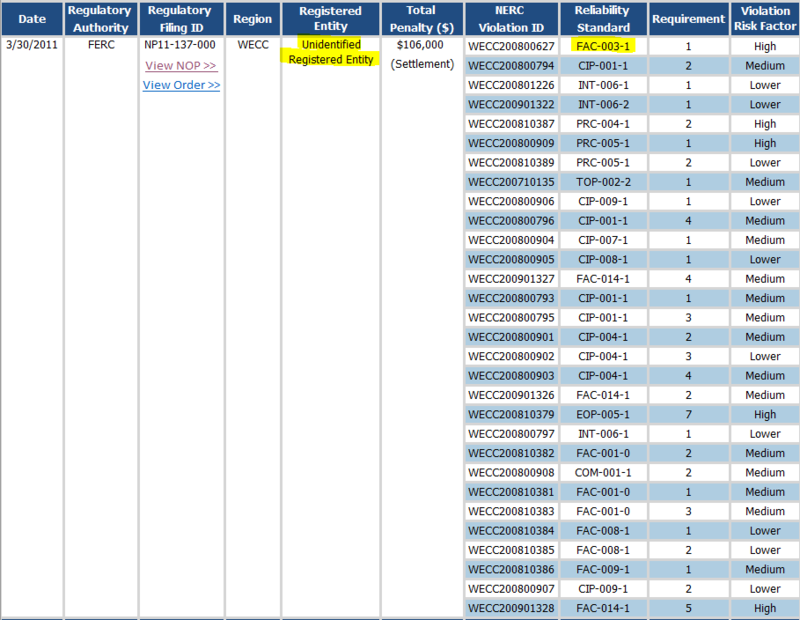 Did PG&E Benefit from the NERC/WECC Cover Up? 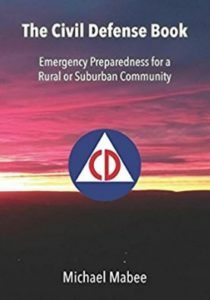 So those are four examples that I rooted out of NERC and WECC covering up the identity of the violator of transmission vegetation management standards in the Western Interconnection – the same place where over 86 deaths occurred in the “Camp Fire” – the deadliest and most destructive wildfire in California history. And also one where a “regulated entity” (PG&E) has been found to have significant liability. Do we know whether one or more of these cases are PG&E? No, we don’t because this information has been withheld from the public by WECC and NERC (unopposed by our sleepy federal regulator, FERC). But doesn’t the public have a right to know who these violators are? Perhaps FERC’s oversight body – the Senate Energy and Natural Resources Committee – would also be curious.